This post contains affiliate links. This means that if you click on the link and decide to make a purchase, I might receive a small commission that goes back into helping me keep the blog running. Thank you for your support. Fancy a Chinese takeaway? Thinking of giving AIP a rest for the weekend and then coming back to it on Monday? AIP, as you probably know, isn't something that you can jump on and off of, if you really want it to work. I've learned that the hard way. And trust me. The last time I decided to risk a Chinese takeaway (a fairly innocent-looking chicken and cashew nuts, if you must know) I woke up with aching joints, a fuzzy head and a headache that lasted a week. Seriously. I think it's just that me and MSG can't be friends. Even on the odd occasion. You have the spicy, fresh flavour of ginger, pungent, earthy garlic and then shredded cabbage softened in the cooking liquid. 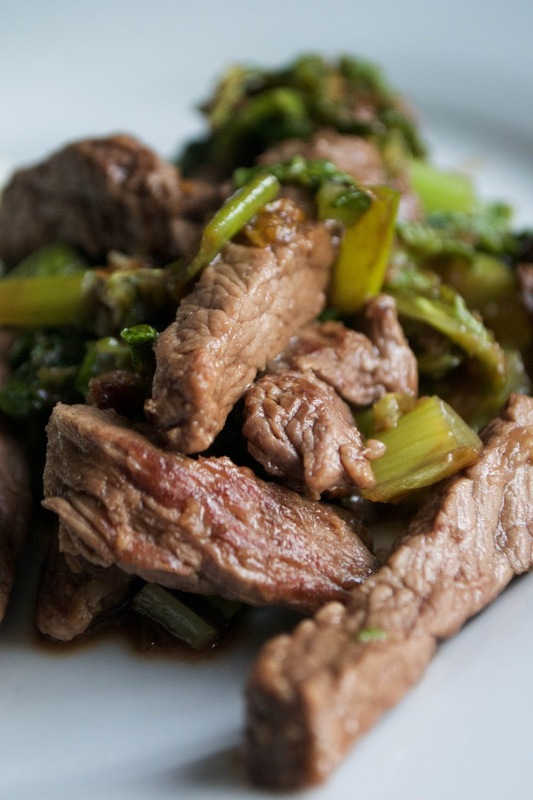 Beef and ginger. A perfect, classic combination. Whip it up in under 10 minutes. Less time that it takes to phone for a food delivery, right? First, heat the coconut oil (or whatever fat you're using) in a large frying pan or wok. Cut the steaks into thin strips, trimming away any tough bits as you go, and add to the pan. 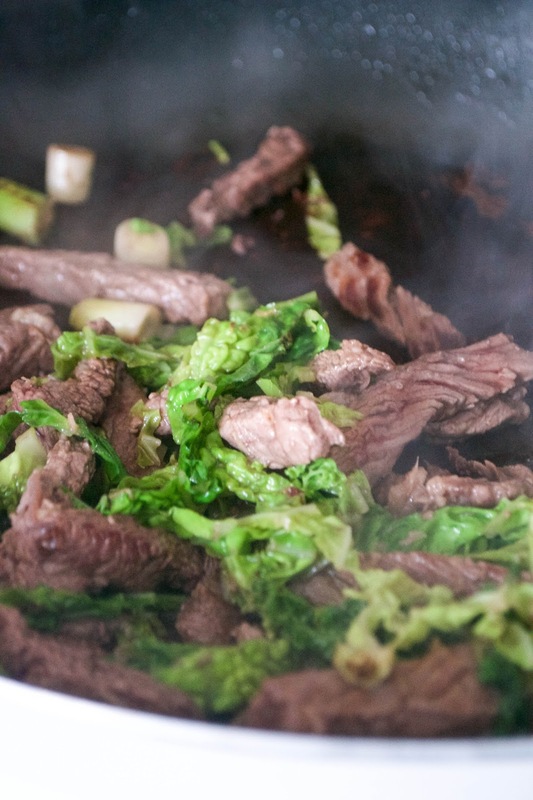 Stir-fry the beef until browned on the outside. Quickly remove the thick, white part of the cabbage leaves and then shred them fairly finely. Throw them in the pan and then grate in the garlic and ginger. Add the spring onions and the pinch of salt. The steak should be cooked - once it is, and the cabbage is tender, turn off the heat. Drizzle over the honey and serve the beef hot.